Kerstin Hoedlmoser has been awarded with a stand-alone project from the Austrian Science Fund FWF (378.908€). She will investigate the impact of blue-enriched smartphone light exposure before falling asleep on sleep-dependent memory consolidation and emotion regulation in adolescents. Clock change can be compared to a “mini-jetlag” of one hour. It only represents a minor challenge for our biological clocks and many people adjust within 48 hours, although some people say they need a few days to adjust to the change during spring, that is when we “loose” one hour. Research on the effects of the clock change in spring on traffic accidents or heart attacks suggests there is an increase, however the results are rather inconsistent and effects are small in most studies (e.g., Manfredini et al., 2018). Conversely, for the clock change in autumn a decrease has been reported. Regarding the introduction of DST all year round some researchers expect detrimental effects on sleep due to for example an increase in “Social Jetlag” (e.g., Wittmann et al., 2009; Kantermann et al., 2007). We however doubt that the effects will be as severe as they suggest given other results reported in the literature. First, Yetish and colleagues (2015) were able to show that pre-industrial societies generally sleep about 1 hour less during the summer suggesting that the biological night is shorter during summer, irrespective of clock time. Second, in conjunction with studies by for example Wright et al. (2013) or Stothard et al. (2017) it seems that ambient temperature as well as exposure to artificial light in industrialised societies have a potentially much larger effect on biological clocks and thus sleep timing and sleep length than clock time. This is in line with the very small to small effect sizes Borisenkov et al. (2017) reported when they compared constant DST and constant standard time in a cross-sectional study. In conclusion, we believe that there are arguments for standard time as well as DST, but the effects on our biological clock will be limited given current empirical evidence. Borisenkov, M. F., Tserne, T. A., Panev, A. S., Kuznetsova, E. S., Petrova, N. B., Timonin, V. D., . . . Khokhlov, N. A. (2017). Seven-year survey of sleep timing in Russian children and adolescents: chronic 1-h forward transition of social clock is associated with increased social jetlag and winter pattern of mood seasonality. Biological Rhythm Research, 48(1), 3-12. Kantermann, T., Juda, M., Merrow, M., & Roenneberg, T. (2007). The human circadian clock’s seasonal adjustment is disrupted by daylight saving time. Current Biology, 17(22), 1996-2000. Manfredini, R., Fabbian, F., De Giorgi, A., Zucchi, B., Cappadona, R., Signani, F., . . . Mikhailidis, D. (2018). Daylight saving time and myocardial infarction: should we be worried? A review of the evidence. European review for medical and pharmacological sciences, 22, 750-755. Stothard, E. R., McHill, A. W., Depner, C. M., Birks, B. R., Moehlman, T. M., Ritchie, H. K., . . . Axelsson, J. (2017). Circadian entrainment to the natural light-dark cycle across seasons and the weekend. Current Biology, 27(4), 508-513. Wittmann, M., Dinich, J., Merrow, M., & Roenneberg, T. (2006). Social jetlag: misalignment of biological and social time. Chronobiology international, 23(1-2), 497-509. Yetish, G., Kaplan, H., Gurven, M., Wood, B., Pontzer, H., Manger, P. R., . . . Siegel, J. M. (2015). Natural sleep and its seasonal variations in three pre-industrial societies. Current Biology, 25(21), 2862-2868. 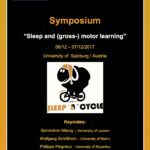 At the meeting of the European Sleep Research Society in Basel, Christine Blume and Manuel Schabus organised a panel discussion with the panel members Gilles Vandewalle, Derk-Jan Dijk, Kenneth Wright, and Eva Winnebeck. A consensus summary of the arguments discussed can be found here. Please note that this is only a summary of the contents discussed. 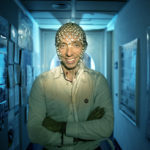 The contents therefore only reflect the consensus of the panel members and this is not a statement of the European Sleep Research Society (ESRS). A current press release by the Austrian Press Agency (APA) (24.09.2018) highlights the unclear consequences if constant Daylight saving time is introduced in Europe. Prof. Schabus and Dr. Blume are emphasizing that the human circadian system is quite adaptive and can handle a one hour time shift without bigger problems (see current online poll and statistics on www.sleeplounge.net). The scientists highlight the importance of discussing summer/winter time adjustment also with respect to times zones, individual chronotypes, and the use of artifical light such as mobile phones (especially close to sleep onset). 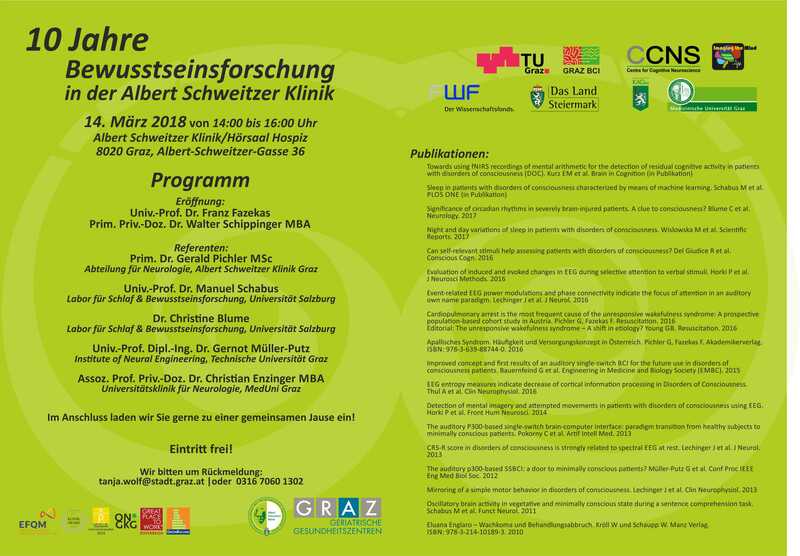 In the end of June, Christine Blume has been awarded an Erwin Schrödinger Fellowship from the Austrian Science Fund FWF. From January 2019 on she is going to spend two years at the Department for Chronobiology at the Psychiatric University Clinic Basel (Switzerland) headed by Prof. Christian Cajochen before returning to Salzburg in 2021. In Basel, she will extend her research on circadian rhythms and sleep. Specifically, she will investigate how artificial light exposure in the evening alters cognitive processes and thereby sleep during the night. 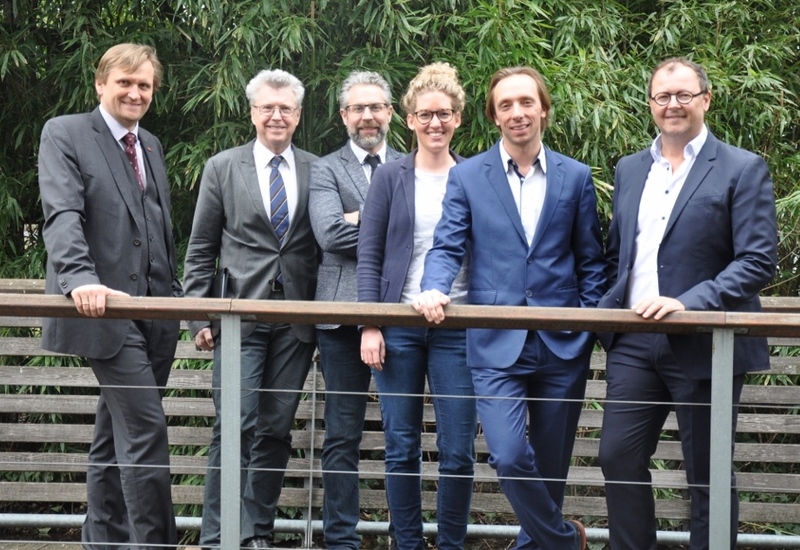 Hahn, M., Joechner, A., Roell, J., Schabus, M., Heib, D.P.J., Gruber, G., Peigneux, P. Hödlmoser, K. (accepted). Developmental Changes of Sleep Spindles and their Impact on Sleep-Dependant Memory Consolidation and General Cognitive Abilities. Developmental Science. 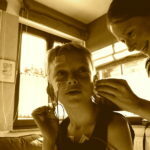 The debate continues: Neurofeedback not more than a Placebo? 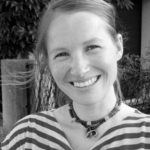 CCNS member Kerstin Hödlmoser received a “Fulbright Research Grant”. 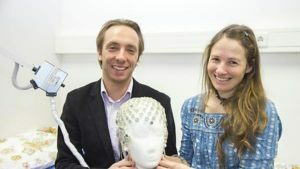 In 2018 Kerstin will stay for four month at the University of California, Berkeley and conduct her research at the Sleep and Neuroimaging Laboratory with Matthew Walker (project: “Sleep to remember…but also to forget: A combined fMRI and EEG approach to investigate sleep-dependent motor adaptation”).